Peanut butter + pretzels + chocolate = happiness. It’s that time again! When I interrupt your week to offer a tempting treat. 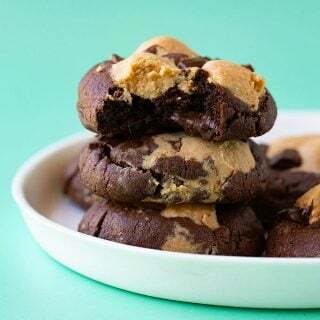 And if there is anything I have learnt after two and half years of developing recipes for my readers, it’s that you love peanut butter, pretzels and chocolate. And Oreos – but we’ll save those for another day. 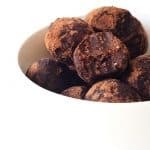 I just KNOW you’re going to be a fan of these Chocolate Peanut Butter Pretzel Truffles. 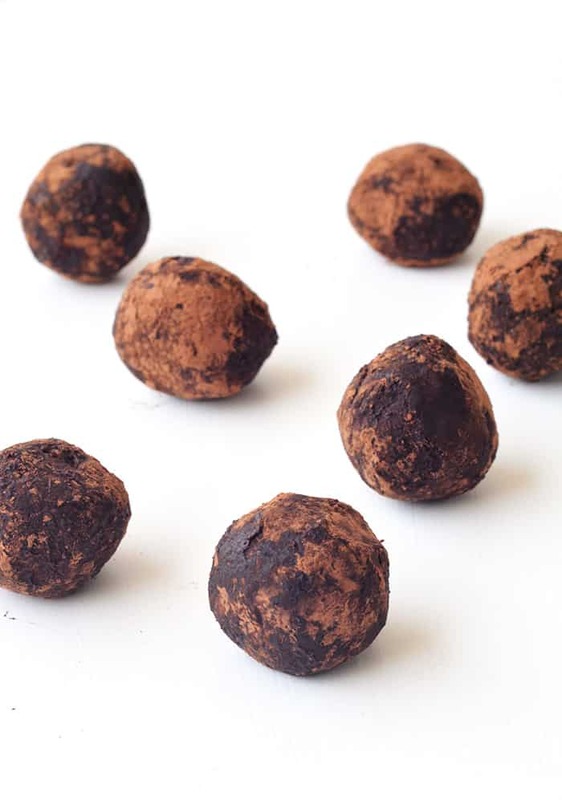 Five ingredients, 15 minutes, 15 truffles. And one very happy heart/stomach. I mentioned a few posts ago that I just started a new job. It’s for a large food brand (#dreamjob) which is very exciting but it means I’m surrounded by recipes ALL day. Which means I spend most of the day rather hungry. Lately we’ve been working on all of our Christmas content, meaning ALL the amazing Christmas bakes have been in my face all day every day. 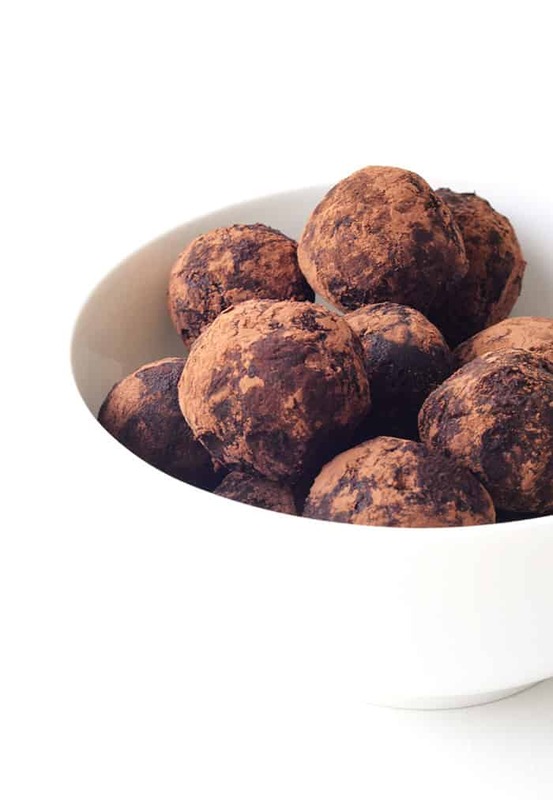 So I think that’s where the inspiration for this recipe came from because truffles = Christmas, am I right? 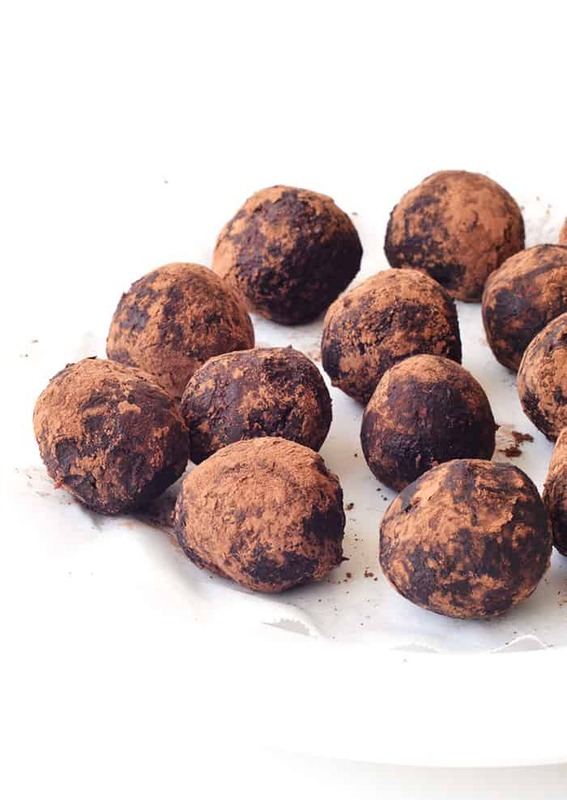 The truffles are made from chocolate peanut butter ganache. Yes. Then crunchy crushed pretzels are stirred through and then once they are firm enough to roll, they are then lightly dusted in cocoa powder. 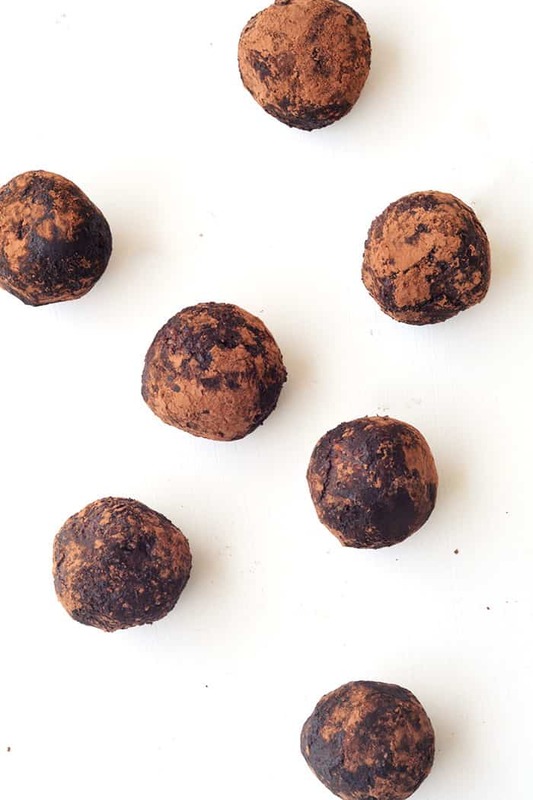 While they may sound over-the-top, these Chocolate Peanut Butter Truffles aren’t as sweet as they could be. The salty peanut butter helps to mellow them out, as does the bitter cocoa powder. I think they are the perfect blend of sweet and salty. And I’m putting them on my baking list for Christmas gifts already. Have you started thinking about Christmas yet? Chocolate Peanut Butter Pretzel Truffles made with a creamy chocolate peanut butter ganache, crushed salty pretzels and a little dusting of cocoa powder. Finely chop the chocolate and place in a heatproof bowl with the peanut butter. In a small saucepan, add the cream and place on a medium heat until the cream is simmering but just before it starts to boil. Immediately pour the warm cream over the chocolate and peanut butter, cover the bowl with a plate and leave it to sit for 2-3 minutes. 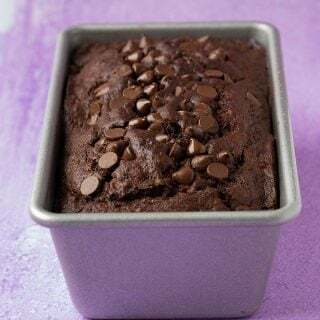 Whisk the chocolate mixture until smooth and creamy. Stir through the crushed pretzels, then transfer to the fridge for around 1-2 hours or until the mixture is firm enough to roll in your hands – it’s ok if it’s a bit sticky. Sift the cocoa powder into a separate bowl. 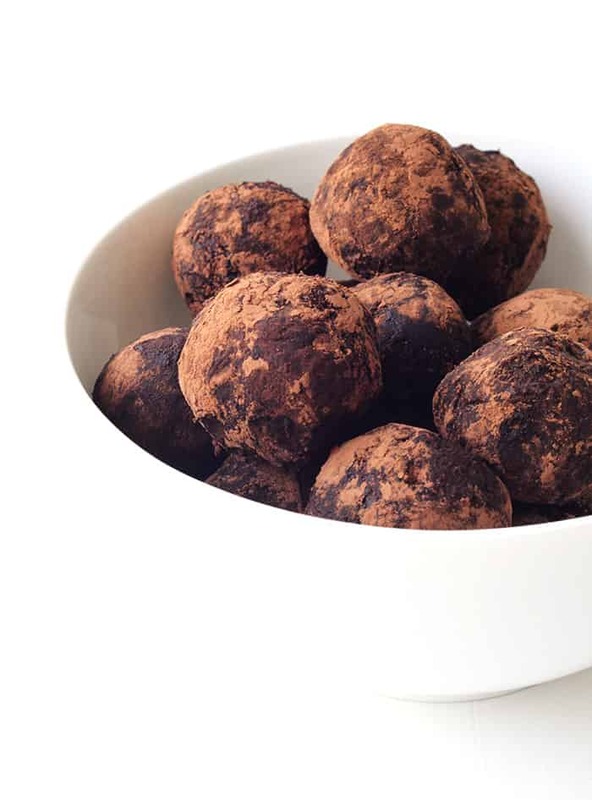 Once the ganache is firm, use a cookie scoop or a teaspoon to spoon out the truffles and roll them smooth in your hands. Drop them into the cocoa powder and roll around until completely coated before removing and setting on a plate. Continue until all truffles are done. Store in the fridge. These were perfect for Christmas gifts. Thanks Josh, they would be great for Christmas! These are absolutely YELLING my name! Chocolate and PB and pretzels! Eeeeeek! Aww that’s awesome Adina! I hope you like them! I dub these…. Heaven’s Balls! 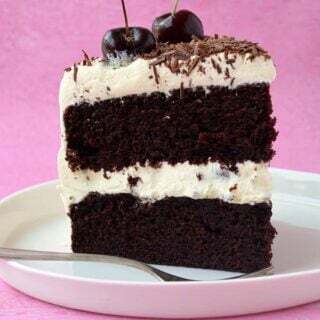 This is salty sweet heaven! 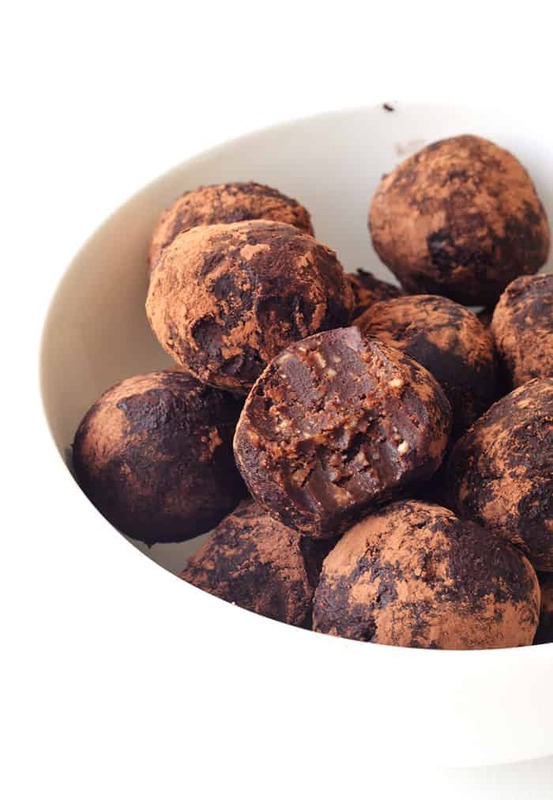 Chocolate, peanut butter and pretzels all work together so well but putting them in a truffle is a genius idea!